Took part in a high level Foreign and Commonwealth Office sponsored event in Beijing on the theme: “Legal and Judicial Co-operation on the Belt and Road”. The visit by the Chair of the Bar included a one-day conference at Renmin University, a networking event with the Bar Council Training Scheme alumni and a side visit with the Chinese equivalent of the Justice Minister, which was televised. The visit also provided a good opportunity to promote England and Wales and the services that the Bar can provide to Chinese lawyers and clients. The mass arrest of judges in Turkey. Hosted 12 Chinese lawyers from some of China’s leading law firms in Beijing, Shanghai, Guangzhou and Changzhou as part of the 26th Bar Council China Training Scheme (BCTS). The BCTS aims to give Chinese lawyers an understanding of the English legal system, the way barristers operate and how to instruct them, whilst at the same time building their legal skills and knowledge required for international practice. The chambers selected to host the lawyers gained a unique insight into the Chinese legal market. Awarded, via the Bar Scholarship Trust, 24 grants to assist barristers of seven years’ practice and under to participate in international legal events of their choice to contribute towards their professional development. 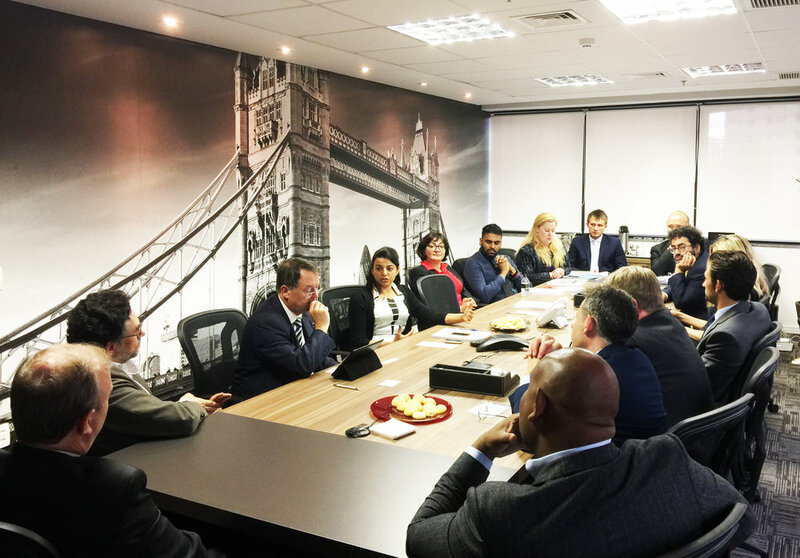 In June 2017, the Chair of the Bar led a delegation of barristers to Brazil for the Bar Council’s third business development mission to the country. The programme included meetings and roundtable discussions with local law firms and legal associations, as well as seminars for the local Bars, in which barristers addressed audiences on international arbitration, fraud and regulation. A group of four barristers and two solicitors joined the delegation for the events in Sao Paulo before spending two weeks in leading law firms in Sao Paulo and Rio de Janeiro as part of the British-Brazilian Exchange Programme. Following the success of last year's seminar in Cyprus, the Bar Council's International Committee, in partnership with the Cyprus Bar Association, are organising their second English-Cypriot Law Day in Limassol. In September 2017, the Bar Council will host over 60 international Bar leaders for the Opening of the Legal Year activities. The programme, hosted jointly with the Law Society, will feature roundtable discussions on technological innovation to increase access to justice, diversity in the legal profession and judiciary, and international trade in legal services and the rule of law. The fourth English Law Week will be held in November 2017 and, for the first time, will take place in two Russian cities: Moscow and St Petersburg. Dr Shirin Ebadi, who was awarded the 2003 Nobel Peace Prize for her efforts to promote human rights - in particular the rights of women, children, and political prisoners in Iran -will deliver the 11th International Rule of Law Lecture on 9 November 2017.